No more guessing. No more opinions. Craig is widely regarded as the world leader in tennis strategy, and he shares all of that research & knowledge with you in the following 9 tennis courses & products. Finally know, without question, exactly what you need to do to become a better tennis player or coach. Craig's use of tennis data & analytics, combined with over 20 years of experience coaching tennis on the ATP Tour, make these online tennis courses unlike anything on the market. See All 9 Tennis Courses Now! Craig’s work has allowed for a once “feel” and subjective sport to have universal clarity and scientific specificity. Craig’s advancements and organization of analytics helped my daughter reach the #1 ranking in the US in both singles and doubles. 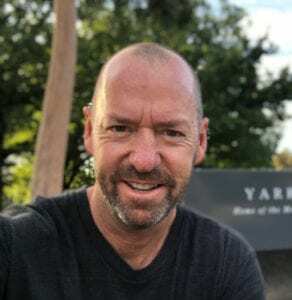 Brain Game Tennis has been instrumental in how I run the High-Performance Program at Intensity Tennis Academy in Connecticut. Craig’s work has been absolutely influential in my career and the success of our program and players. I consider him a true pioneer in our sport. 3 SIMPLE STEPS - ALL CONTENT IS IMMEDIATELY AVAILABLE ON THIS WEBSITE. Select the tennis products below, all located on this website. Upon purchase, you will have full access to restricted pages with rich media including video, text, tables, insights and a plan of action. Immerse yourself in the world's best patterns of play, learnt from the world's best tennis players. Years of research yield amazing insights into measurable tennis metrics that make an immediate impact. Get better at tennis, now! Replace old school tennis instruction with cutting edge patterns of play. The analytical revolution has finally arrived in tennis. Proven tactics & winning percentages. Welcome to a smarter way. For more information on each product, see the descriptions below. 33% off when you buy all 9 courses. Save over $300! Which Courses are Right for You? If you're not sure which courses are best for you, here's what we recommend. Num3ers - this is for baseliners who want to develop a smarter groundstroke strategy based on proven winning match data. 25 Golden Rules of Singles - Learn the highest percentage patterns of play when serving, returning, rallying and finishing at the net. Short Ball Hunter - The world says you can't approach the net anymore. The world is wrong! This course is all about learning the right way to come forward to feast on the higher win percentages the net offers. Dirtballer - Consistency, patience, shot tolerance, grinding, and suffering... This has been clay court tennis for years. Dirtballer includes the most groundbreaking data clay court tennis has ever seen. Doubles Num3ers - This is a deep dive into doubles analytics that simply doesn't exist anywhere else. For example, more players are staying back in doubles, but right at 80% of winners are still struck at the net. 25 Golden Rules of Doubles - There is a lot happening on a doubles court. This course looks at making the right decision in specific situations when serving, returning, and uncovering the most important location on a doubles court - the Center Window. 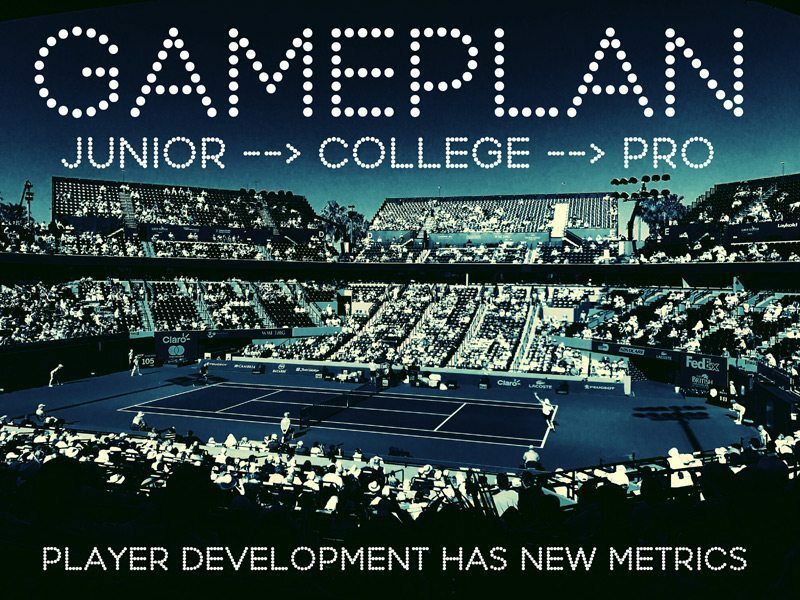 Gameplan - This course is all about the Player Development Pathway, incorporating over 700K points from Under 12, 14, 16 & 18 matches as well as college tennis and the pro tour. The First 4 Shots - This revolutionary course uncovers that points in tennis are a lot shorter than we ever realized, AND winning these shorter points (in the 0-4 shot rally length) gives you the greatest opportunity to win the match. Between the Points - Why do players look at their strings so much? How can you control the voices in your head? What should be your between point routine? Do you focus more on yourself or the opponent? All of these critical questions and a lot more are answered in this mental/emotional training course. For more detailed course descriptions, see below. Count me in with the ranks of O'Shannessy groupies. Your brilliant insights -- and crisp, no-nonsense way of presenting them -- have helped me unlock a whole new level of tennis. Craig delivers a refreshing new perspective for players at all levels. As a former Top 40 player, Craig greatly simplified the court for me. The stats, analysis & precise game plans gave me a clear goal to execute. Craig’s approach and data pushes tennis forward to new heights! Everything you thought about clay court tennis transforms. We thought clay court tennis required longer rallies, more patience, and grinding from the baseline. We. Were. Wrong. Dirtballer is the most comprehensive analysis of clay court tennis our sport has ever seen. You will see analysis of over 25 of the biggest clay court matches since 2012, and big data on Roland Garros. There has never been a comparison of clay court tennis vs hard courts like this. Dirtballer also has 7 lessons dedicated to uncovering what makes Rafael Nadal so good on clay. You'll see data and analysis on Nadal's clay court matches vs hard court matches to find the areas of the game that really make Rafa the King of Clay. Learn more here or add Dirtballer to your cart below! Analysis of over 20 Million data points reveals that we're practicing the wrong way! In this course, you'll see data from under 12's, all the way to the Top 10 in the world. What you'll learn is that the numbers say the same thing, and they don't lie! We're spending too much time practicing the wrong things. Ever wonder why some juniors, college players, or even pros plateau at a certain level. This course will show you why & how to fix it. After understanding the data and analysis, you'll have a clear gameplan for improving to the next level. Improvement in tennis starts with practice. Finally, start practicing the right way! Learn more here or add Gameplan to your cart below! The most important data our sport has ever seen. The practice court is clearly broken. Here’s the proof. You think it is the start of the point. It's actually the end. The First 4 Shots clearly shows that we spend way too much time practicing what hardly happens in a match. Points are "front loaded". By far the majority of the action, and the winning, takes place in The First 4 Shots. The practice court is full of long rallies. Matches are dominated by short rallies. There is a massive disconnect occurring. It's overkill. We spend too much time grinding, banging balls up and down the middle of the court – that have no real benefit to winning tennis matches. If winning matters to you, The First 4 Shots will completely change how you organize your practice court, and go about your business of winning tennis matches. There are 3 specific rally lengths in tennis. Here is their percentage breakdown of total points. The First 4 Shots is specifically the serve, return, Serve +1 groundstroke and Return +1 groundstroke. Those are normally the shots that get practiced the least, but matter the most to winning tennis matches. Also contained in the First 4 Shots of a point are the average rally length and the mode - the most common rally length in tennis. Rich data is provided in the following six levels - Under 12's, 14's, 16's, 18's, College & Pro. Learn more here or add The First 4 Shots to your cart below! The world thinks you can't approach anymore. The world is wrong. The net is an extremely high percentage place to be! If you love playing tennis for fun, spend as much time at the baseline as you like. But if you compete – if the score matters – then you must turn your attention to the net to maximize your potential. The “herd mentality” in tennis thinks it’s too tough to approach the net in today’s game. The conversation starts with improved string technology, more powerful rackets, and finishes with stronger, faster athletes. The herd think approaching is a relic of the past. Simply not so. Data from ALL Grand Slams provides the facts about approach and volley, and the data is crystal clear – it’s immensely better than staying back at the baseline, grinding for a living. Welcome to a better way. A higher percentage, proved way to win more matches. Short Ball Hunter uses facts to dispel myths. We don’t need to listen to opinion anymore when we have clear, concise data to analyze. The facts are indisputable. The net is a fantastic place to play at all levels of the game! Learn more here or add Short Ball Hunter to your cart below! You are being rules by numbers & you don't even know it. There is a lot you can't see when you watch a tennis match. The baseline is a tough place to create separation. Here's how to do it. At the 2012 US Open, only 7 men and 14 women had a winning percentage from the baseline. At Wimbledon 2016, Andy Murray won the title only winning 52% of his baseline points - and he is one of the very best at it in the world! Num3ers deeply explores the data that rules points, especially from the back of the court. Take a "deep dive" into all three rally lengths (0-4, 5-8, 9+), and winner and errors totals from the elite level of our game. The numbers will shock you! Num3ers is very much like putting a jigsaw puzzle together. It's about bringing together different data sets together to create the big picture. Num3ers has huge implications for the practice court, and even predicts the direction our sport is headed. Let's get ahead of the curve, and know what direction success is most likely attained. Learn more here or add Num3ers to your cart below! The new rules of doubles. (p.s. the net still rules). Every recorded match from the 2015 Australian Open - Rd2 to the final. The last shot of the rally is overwhelmingly struck at the net. Center Window - the most important part of a doubles court to control. Stephen Huss - an in-depth interview on Wimbledon's Centre Court with the 2005 Wimbledon Doubles Champion. Dou8les Num3ers leaves no stone unturned. Percentage breakdowns of how often the server or receiver hits the last shot highlight the dramatic influence of the serve. The last shot of the rally is significant, and is broken down into the following categories: volleys, overheads, passing shots, lobs and groundstrokes. Learn more here or add Doubles Num3ers to your cart below! The world's best patterns learnt from the world's best players. You don't have to be good at everything, but you have got to be good at something. You can break tennis down into four key elements - serving, returning, rallying and approaching. Each part has specific patterns of play that consistently deliver higher winning percentages than the others. No more guessing. No more opinions. All facets of our sport are covered in this exceptional product, clearly outlining what patterns to gravitate to, and how to best construct the practice court. Data comes primarily from the 2015 Australian Open. Forcing errors is the best way to construct a point. You can simply break tennis down into primary and secondary patterns of play - and they are all covered here. Primary patterns include serve and return direction, forehands v backhands, and the best way to approach the net. Secondary patterns include drop shots, serve & volley and 1st volley options. If you play tournaments, this product will greatly help you simplify the singles court. Learn more here or add The 25 Golden Rules of Singles to your cart below! Winning doubles patterns of play live here. The conversation starts & ends with the Center Window. The doubles court is like an hourglass. There are two big ends, but a small neck in the middle where all the action happens. Once you learn the power of the Center Window, where you stand to start the point will take on a lot more significance. Doubles is a lot more about situations, with four people on the court all "dancing" with one another. Learn all the best doubles patterns, broken down for the server, returner, server's partner and the returner's partner. The "J" - the most ideal movement for the returner's partner to attack the net. The "V" - a better way of understanding where the server's partner should move to. Volley Targets - there are four main areas to attack. Know which ones are higher percentage. Back Volleyball - the idea of a "setter" and "spiker" is ideal for the doubles court. There are certain parts of the court that the ball travels to a lot, and other low percentage areas that you really don't want to cover at all - like the alley! In general, the serving team wants to keep the ball in the middle of the court as much as possible (to help the server's partner), while the returning team benefits from hitting wider and creating more chaos in the point. Learn more here or add The 25 Golden Rules of Doubles to your cart below! This is the most important match you play. When you play a match, you actually play two matches. When you walk out onto a tennis court, there are two matches that you are about to play. The first is during the point - a part of the match that you have spent a lot of time preparing for on the practice court. But there is a second match, that takes place in the 20 seconds between the points. This is where the mental and emotional aspects of our sport kick in. Let's face it, there will be adversity in almost every tennis match that you play. The storm clouds are coming. How bug they are, and how long they last for, are up to you. Between the points is very tennis specific. It provides a roadmap for the 20 seconds between the points, teaching how to handle the adversity that will surely come, and how to build on the successes that will also be present. Your mind is your biggest asset in a match, and Between the Points takes your hand off the self destruct button and stops you beating yourself. Learn more here or add Between The Points to your cart below! Craig O'Shannessy is leading tennis into a new era of coaching using data & analytics. Before releasing these tennis strategy courses, this kind of knowledge and coaching was only available to top pros. But now, you can learn the same strategies for a fraction of the cost. If you're ready to develop a clear plan to improve as a tennis player or coach, these courses are for you! I have utilized just about every concept from the BrainGameTennis website with my team. At the beginning of each week, I conduct a “GamePlan” session with my team. Using analytics from my team’s recent matches, I apply the concepts from the BrainGame website into a specific lesson, and teach my players in a classroom setting how to use this information to our advantage. Then we go on the court and practice exactly what we just covered. I can tell our players are getting smarter and the results are definitely paying off in our matches. Get Your Brain Game Tennis Courses Now!